It's getting more important than ever to take care of your health. We offer an array of preventative services to help you and/or your employees to stay well. Call to see how our wellness services can help you and/or your employees become healthier and stay injury free. All the way from fitness to massage services. Wellness Programs are excellent for waistlines and your organization's bottom line. In today's hectic world, most of us are spending more time at work, and have increasingly less time to look after our health. For a long time, businesses have understood the benefits associated with keeping workers well – increased productivity from reduced absenteeism and reduced disability claims. For these reasons, coupled with the fact that many businesses realized double-digit health care costs last year, businesses should consider wellness programs as a way to keep workers healthful. 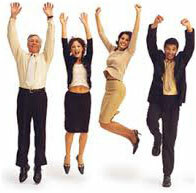 But just how important are wellness programs to employees? How often are they willing to participate in wellness programs designed to positively impact their health? Who do staff members trust to provide them with important information about their health? Fitness assessments are a great tool to help you make exercise a part of your daily life. By evaluating your fitness level and health risk, we can establish a personalized exercise program designed to help you achieve your health and fitness goals. Assessments are recommended prior to beginning an exercise program and throughout the progression of your exercise routine. This program is only for Recreation and Wellness members and benefits those interested in improving or maintaining their current fitness level. Fitness Assessments measure your current level of fitness, assist in goal setting and tracking of your progress. In addition, they track a variety of health related components, and improve motivation! A fitness assessment provides a baseline measurement of cardiovascular endurance, muscular endurance and strength, body composition, blood pressure and flexibility.